GPS Link Trail 1, 43 meter el. GPS Link Trail 2, 112 meter el. 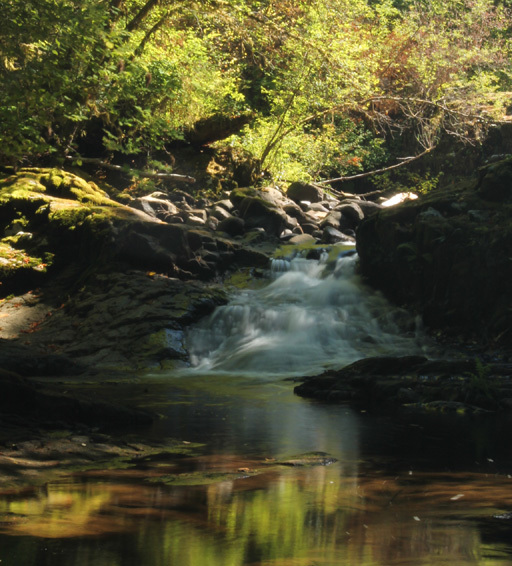 Sweet Creek south of Mapleton has several waterfalls along its length. 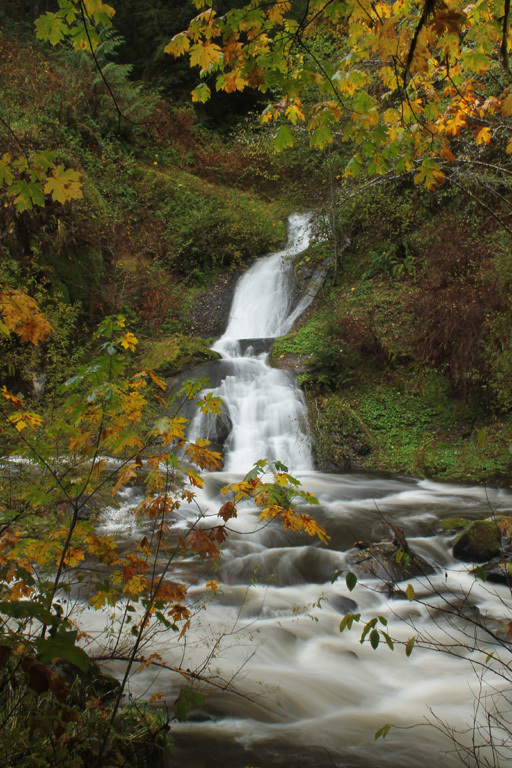 At the top, is the lower view of Sweet Creek Falls. 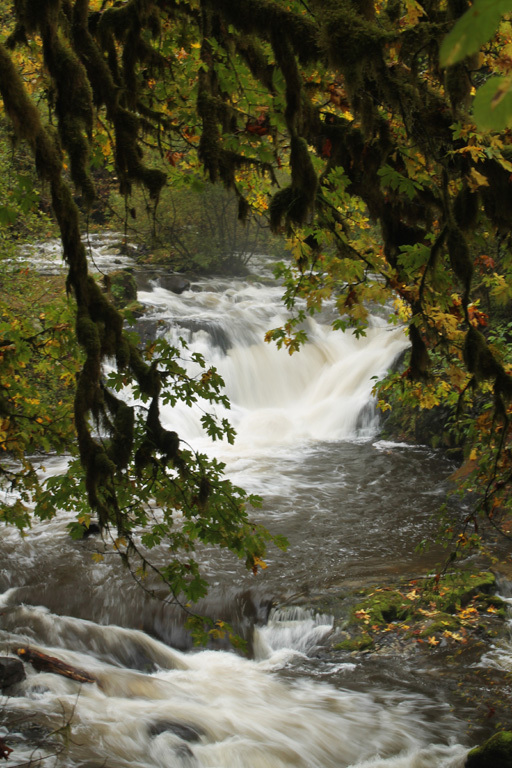 Next, 0.4 miles north of that falls, is Elk Wallow Falls. It is mostly hidden in the summer due to the leaves. Another 0.2 miles you'll find Annice Falls flowing into Sweet Creek near the Sweet Creek Trail. 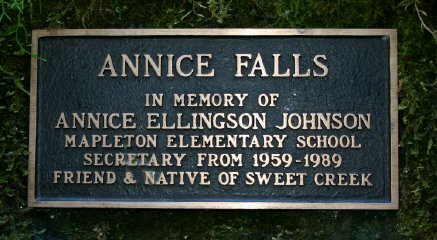 At the bottom is a sign set into the rock along the ramp showing the origin of Annice Falls name. Sweet Creek Falls are south of Mapleton. Beaver Creek Falls trail is a short distance further south on Sweet Creek Road. be a bridge. Before crossing the bridge there will be a road off to the left. the bridge onto Sweet Creek Road. Follow Sweet Creek Road for appr. 10 miles. 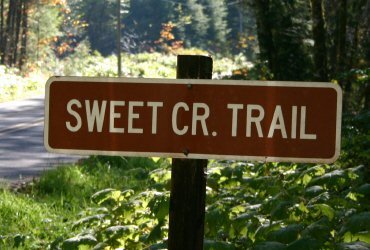 Look for a sign on the right side of the road 0.2 miles past milepost 10 that says "Sweet Cr. Trail". There are three trailheads that can access these falls. 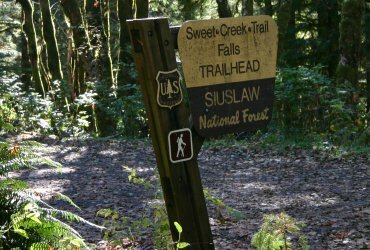 The second trailhead is half a mile further south on Sweet Crk Rd. 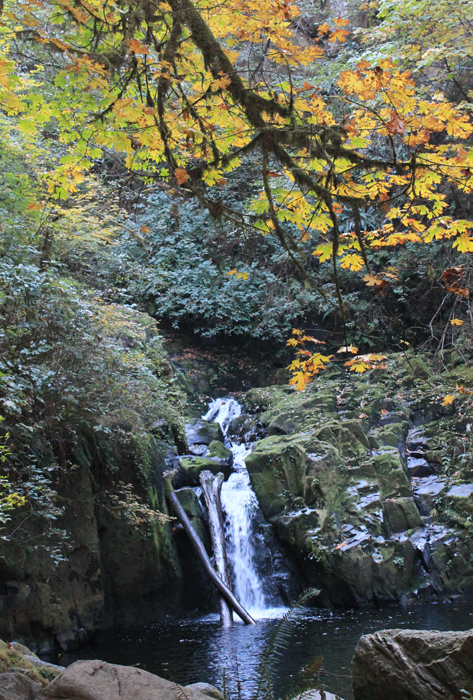 It is called Sweet Creek Falls Trail (second picture above). 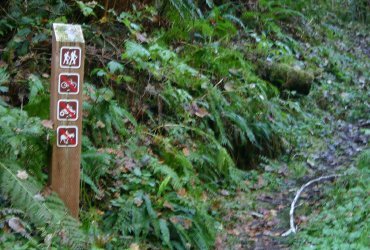 It joins with the Sweet Creek Trail on the right side of a junction. 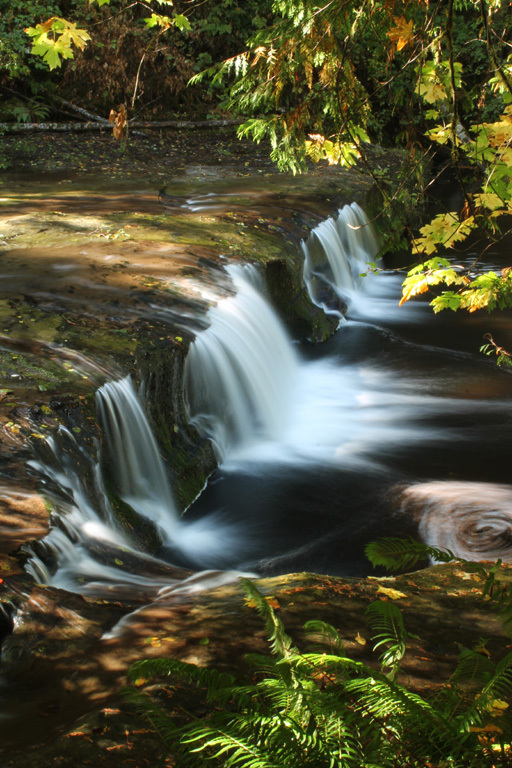 If you continue left of that junction you will reach the east side of the creek for an upper and lower view of Sweet Creek Falls. 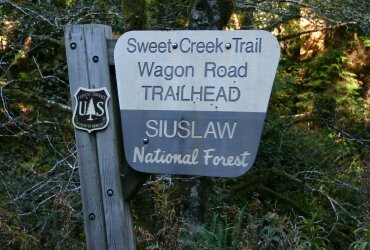 (view of trail sign on one side of the road - and actual trail on other side of the road - shown below). 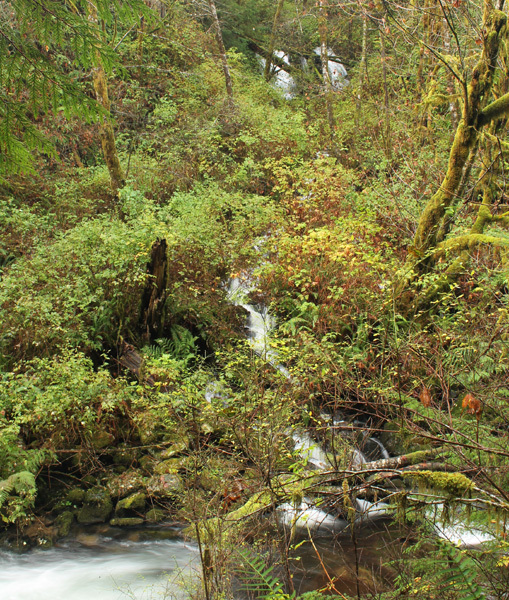 This trailhead provides a full-on view of the main waterfall via a 0.8 mile trail on the west side of the creek. 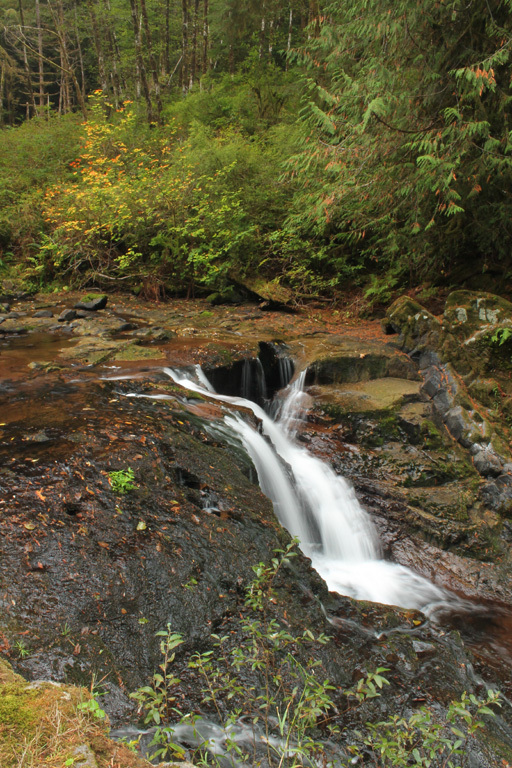 Below are some other views of Sweet Creek above and below Annice Falls. 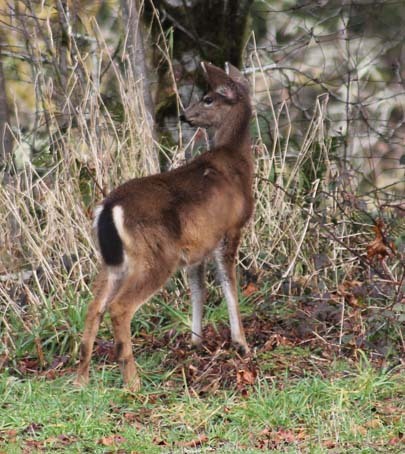 Found a deer near Sweet Creek Road. A spotted tussock moth caterpillar (Lophocampa maculata) in some foliage in September along Sweet Creek Road. 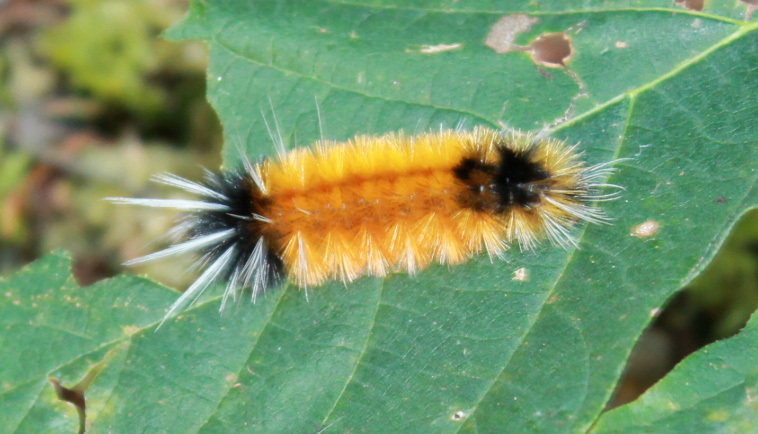 This is a different variety from the more common wooly bear caterpillar commonly seen in this area. 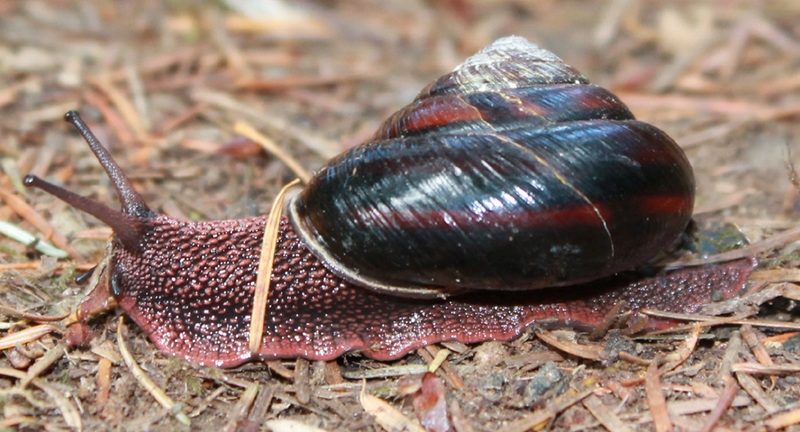 And found a Pacific Sideband Snail taking it slow on Sweet Creek trail.